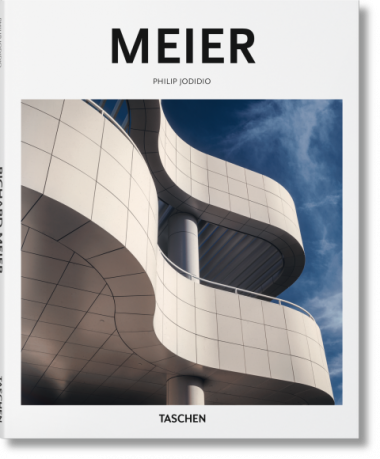 If it is true that Ludwig Mies van der Rohe once said, “God is in the details,” it might be possible to say of Richard Meier’s architecture that God is in the numbers. More than any other contemporary architect, Meier has imposed a style that is almost invariably driven by grids and precisely calculated proportions. Nor are these arithmetical elements the only predictable components of his designs. And yet his work is far from being as sterile as its rigorous white demeanor might imply. Rarely completely open, Meier’s buildings are usually a symphonic arrangement of geometric volumes composed of solids, voids, and generous glazing alternating with closed surfaces. Closed on the entry side, open to the ocean or the landscape, separating private and public spaces, double height and more where the design allows, or rather imposes, Meier’s houses announce but do not summarize his approach to larger buildings. Smooth glazed or white enameled panels alternate, too, with louvered, articulated façades, not according to the architect’s whim, but rather in function to the program and the specific site. 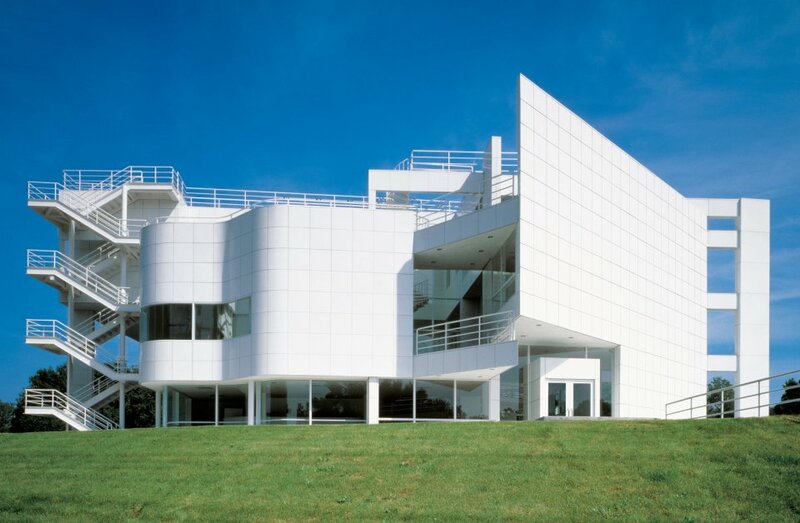 Richard Meier, born in Newark, New Jersey, in 1934, has been one of the most consistent of contemporary architects, to a point that his stylistic choices, from white aluminum panels to nautical railings, are among the most recognizable of his profession. Beneath these surface elements, Meier’s plans continue to call on a geometric vocabulary, often based on the circle and the square. 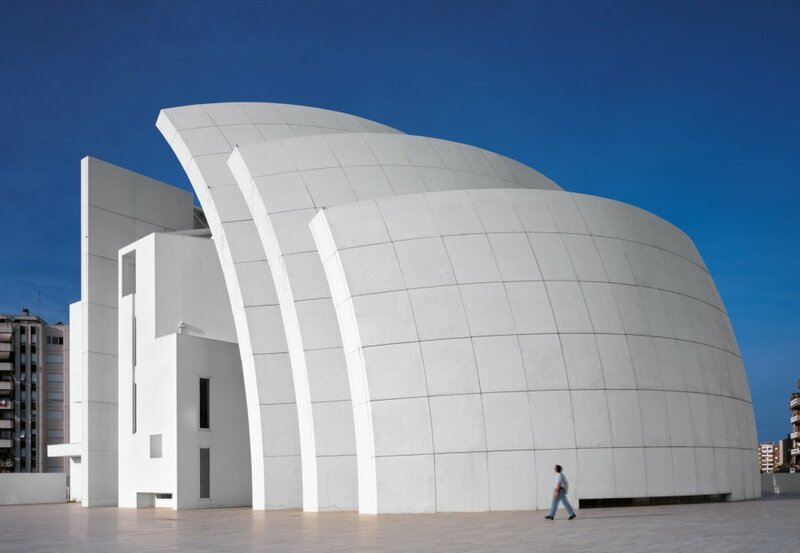 Linking plan to volume, a rigorous system of grids, even more than the choice of white cladding, constitutes the signature element of a Richard Meier building. The rigor of the design is emphasized through meticulous attention to detail, which in turn conveys an impression of quality often lacking in modern construction. Recent architecture and art have been marked by frequent stylistic shifts, or perhaps more accurately by dissolution of style in favor of trends or personal expressions. As the first decade of the 21st century draws to a close with no dominant aesthetic view, the very idea of style has been called into question. Architecture, once a symbol of permanence, has wavered between willful impermanence and computer-generated extravagance. Few mature creators have passed through this period without being tempted by one or another of the fashions of the times. Fewer still have set and maintained a clear course. In fact, an architect or an artist with a style recognizable over the years is exposed to accusations of immobility or inability to change. Yet many of the most durable works of art were born of rules as strict as the unity of time and place of the classical theater. Few would argue that Shakespeare’s adherence to Elizabethan parameters prevented him from encompassing the entire range of human experience in his plays. In King Lear, the English master wrote, “Ripeness is all.” It would be overly simplistic to say that in Meier’s case whiteness is all, and yet there is a sense that the life of his art is in the light that plays across his walls or floors. 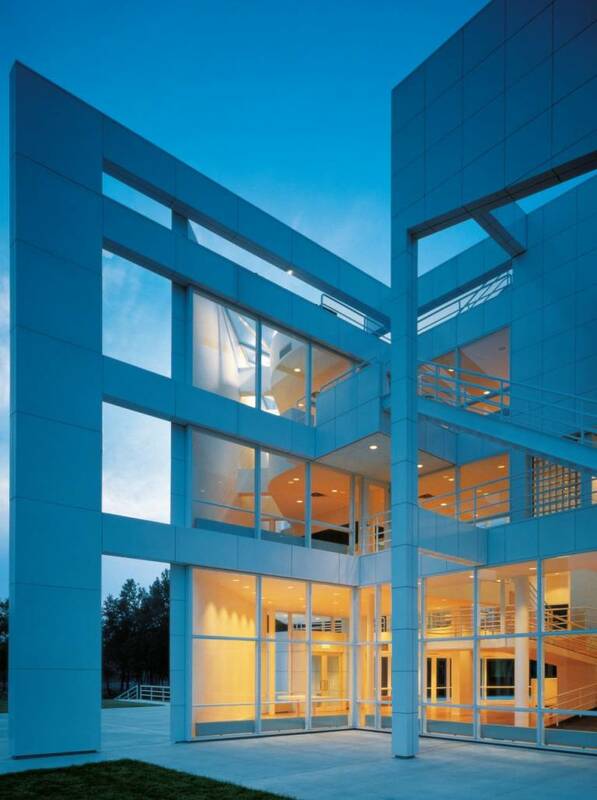 It is precisely its whiteness that allows Richard Meier’s architecture to live and breath.